Here at Rimer Enterprises we take a great deal of pride in our high quality products and part of the reason that we are able to achieve such a high quality on all of our products is due to our cutting edge tool shop. 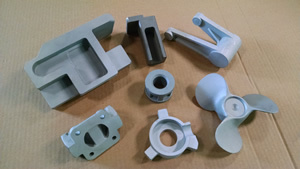 In fact, all of the tooling at Rimer is made in-house to ensure that proper quality standards are met and we are able to create the right tooling necessary for your project. We utilize two vertical machining centered along with a number of other equipment and machines in order to create these custom tooling solutions. We employ some of the best tooling engineers in the industry who are able to work with CAD files in a variety of formats from DFX, IGES, Solid and many others. In addition to working from CAD files, our engineering team can also work from blue prints and in some cases they are even able to work from an existing part. The tooling for your casting is then made from a 3d file which is input our vertical machining centers, as with all aspects of Rimer a great attention to detail is taken in this step in order to account for the proper shrink factor of the alloy of your casting. 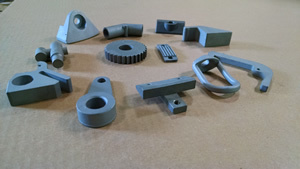 Because we do everything in-house we are better able to provide a consistent product and as you know, the better quality of tooling the better the surface finish on your final product. On top of a quality advantage, our tool shop allows for us to control the cost of casting more as well as our delivery times. This is just part of what we call the Rimer Advantage. To find out more information about our tool shop or any other questions you may have, please do not hesitate to contact us today!